Do you ever have those days where you wander around with a thousand things to do but don’t really seem to achieve much at all? This morning, I was doing that. My ducks were not in a row, in fact I couldn’t even find my ducks and because of that I struggled to take any action. I remember a great story that one of my coaching teachers Joe, shared with me years ago. He is a runner and he had been at the park running that morning. It was spring time and the mother ducks were surrounded by their ducklings. He was running along the path beside the lake and up ahead he noticed that a mother duck with eight ducklings had turned away from the trees to head back into the lake. Almost instantly, all her ducklings realised she was leaving and fell into line behind her. The ducklings were waddling quickly to match her adult step. They followed her into the water to ensure they stayed close, no questions asked, no rebutting about wanting to stay in the trees, just total compliance. Mum takes action and the ducklings follow. 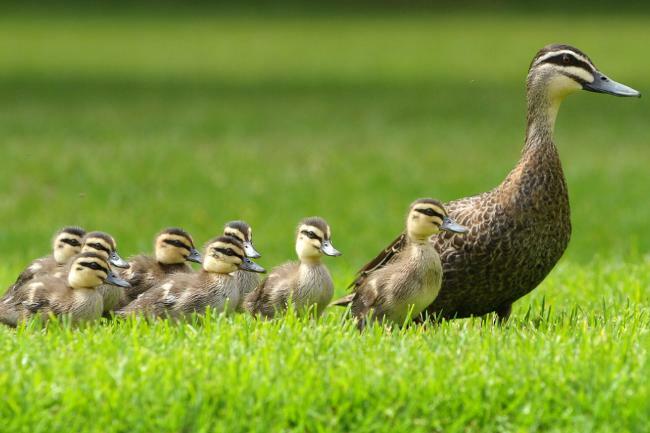 Imagine if mother duck said to all her babies, “Right, I want us all back in the lake so you guys need to get in a nice straight line and then we can get going”, how do you think that would go? Eight baby ducks with very short attention spans in a straight line, yeah, that would take some work. The epiphany moment for Joe was the realisation that our ducks don’t have to actually be lined up for there to be action. If Mother duck makes the move, if some form of action is taken, then the ducklings fall into line and start moving. Its not about having our ducks in a row, its about taking action! As we take action, any action, there is movement. Once we have some movement, there is now possibility for momentum. Once momentum starts we are getting stuff done (GSD, a favourite acronym of mine) and then the results/outcomes/goals are realised. Next articleLove/Self LoveDon't cheat yourself (or the world), you are Powerful!